Dineout experience matters especially when it is on special occasions or during festive seasons. Prolonged waiting in restaurants was too much to handle for Smit and Amrish. It gave them a reason to create India’s first iBeacon based in restaurant dineout app. The duo decided to take the help of technology to skip the waiting time and remove all the confusion that happens so often between staff and customer. 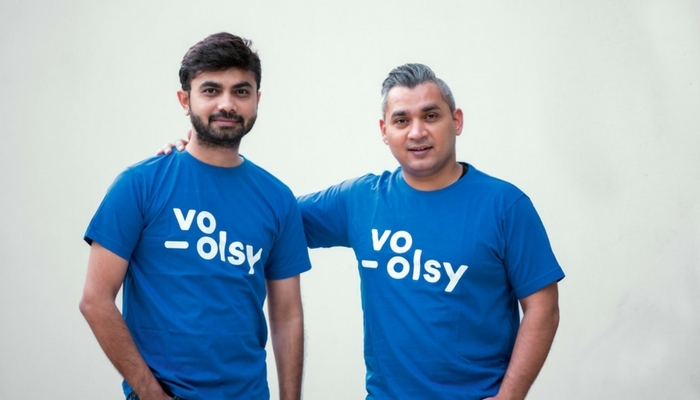 Smit Nebhwani, CEO, Voolsy said, ‘’All of us has witnessed the waiting in restaurant or everything from menu to bill payment and that sometime takes more time than the actual time we had for eating our meal’’. Voolsy’s is complete in-restaurant dineout solution that lets you order your meal and pay for it without a need of waiter. Moreover, the app gives you information regarding the dish with the actual picture that helps you decide whether to go for the dish or not. Amrish Patel, President, Voolsy said, ‘’we have integrated iBeacon because it can give you real time data which is always ignored in the restaurant industry. This data they can definitely use to market their restaurant” said Smit. The 2 year old Ahmedabad based startup has a presence in the cities like Ahmedabad, Bangalore, Mumbai, Pune, and Hyderabad & Jaipur with more than 5 lakh users. “The food tech startup has associated with brands like Pizza Hut, Subway, The Chocolate Room, Baskin Robbins and many more. “The beauty is Voolsy can easily get incorporated in any kind of dine-out areas. This is the reason; we have all sorts of outlets with us” said Amrish. Voolsy is functional in restaurants, cafes, lounges, pubs, bars and cinemas as well. Because the concept was new, restaurants were not ready to accept it. They are now accepting it completely, as they have seen that Voolsy provides genuine orders and removes spam orders. Voolsy has done Rs. 8 Crore worth of transaction so far in 2017. The app has now started in-app advertisement. Voolsy is different than other food ordering app is because it focuses on in-restaurant dining rather than just one more discount and deals app.